If you could only ever attend one wellness retreat, you want it to be this one! 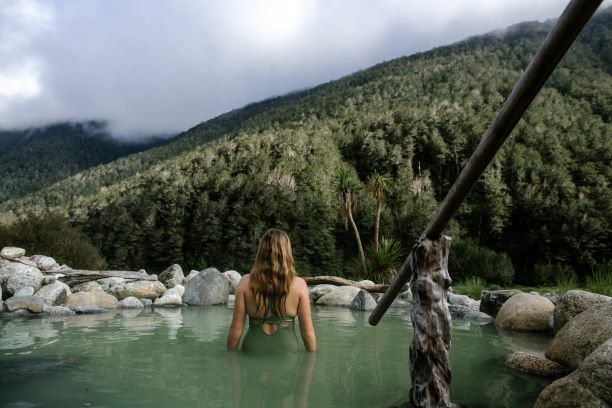 Maruia Hot Springs is hosting the world’s first Extreme Wellness Retreat featuring Extreme Bathing® and Adventure Bathing® led by co-owner and wellness expert Professor Marc Cohen (aka Dr Marc). 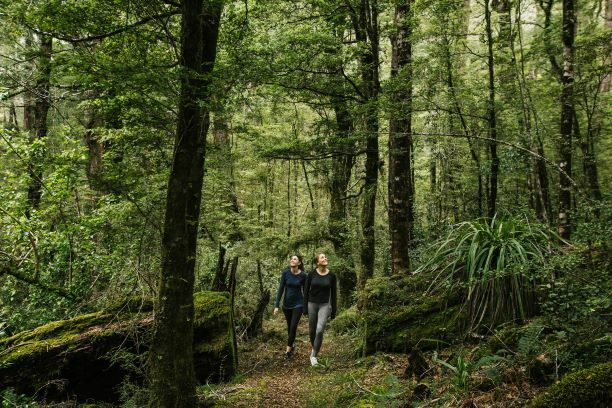 The six-day, five-night experience will include a selection of daily activities; including, sessions of forest bathing, sauna bathing, adventure bathing and bathing in Maruia’s natural geothermal pools whilst enjoying their iconic river valley views. • Transform your world through bathing and simple lifestyle practices that build resilience, self-confidence and foster extreme wellness. Discover how extreme wellness can help you. 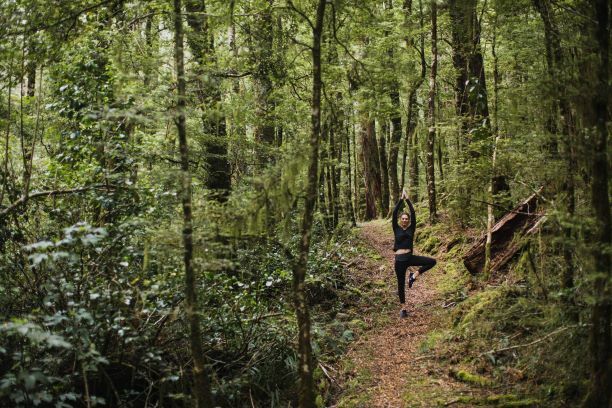 Australian Newspaper about our late 2018 Extreme Wellness retreat. Inquire about transfers to and from Christchurch. 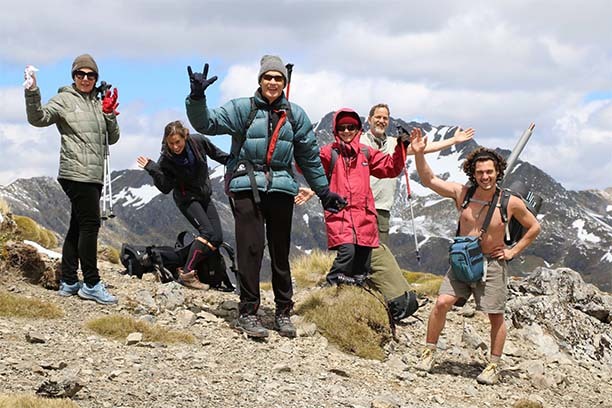 Yoga and meditation classes hosted by Dr Marc and Maruia Hot Springs Wellness Ambassadors. Daily workshops hosted by Dr Marc on extreme bathing and sauna exercises, breathing and meditation sessions, and much more over the retreat. 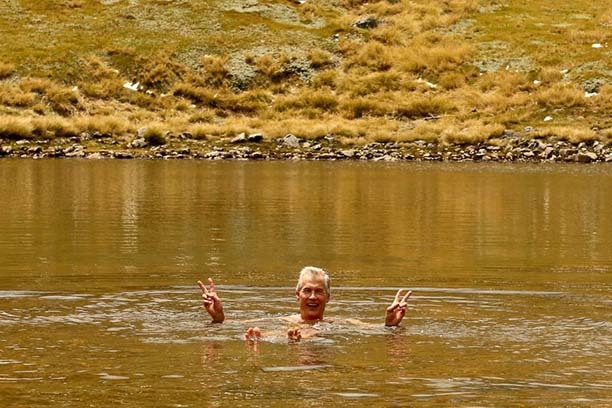 Swimming in a cold alpine tarn feels great, especially when there is a hot steam room to warm you up. 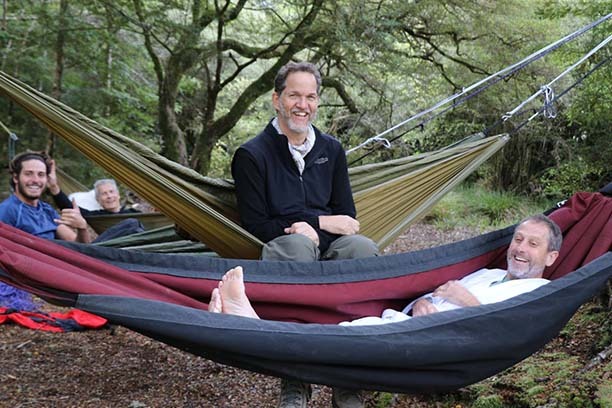 This retreat comes as the culmination of 30 years experience studying, researching and teaching western and eastern medicine, herbal medicine, nutrition, organic food, yoga, meditation, breath work, saunas, hot springs, bathing, martial arts, elite athletic performance, dance, the Wim Hof Method and attending and running festivals, conferences, retreats and treks at venues around the world. 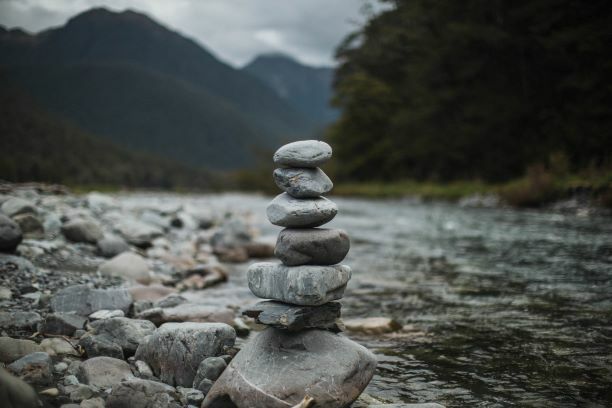 As one of the owners of Maruia Hot Springs this retreat is very special to me as Maruia Hot Springs is where I had a peak experience that profoundly influenced my life. 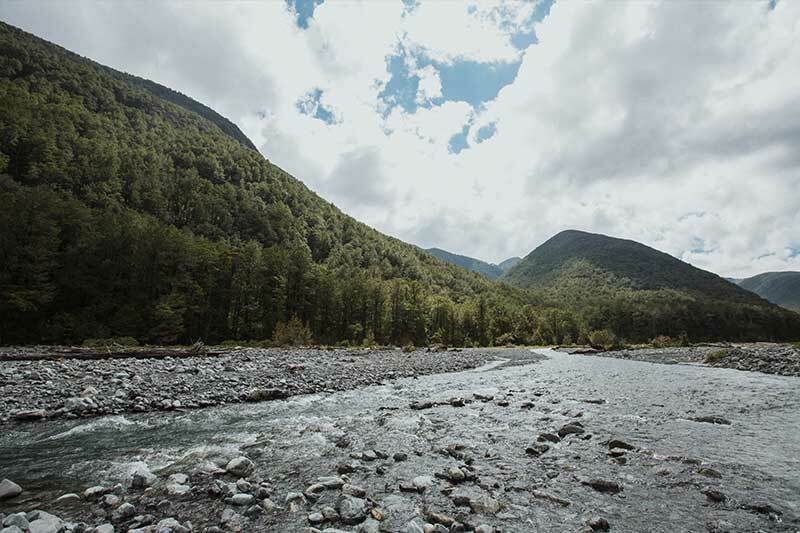 Over 16 years ago I found myself lying immersed in Maruia Springs natural geothermal water under a full moon, surrounded by snow and white-capped mountains and had an epiphany. I felt at one with my surroundings and realised hot springs were who I am and that it is possible to transform the world through bathing. This occurred in 2002 when I was ‘between jobs’ and transitioning from being the ‘alternative doctor’ in a conservative western medical facility at Monash University to being the ‘conventional doctor’ in a complementary medicine faculty at RMIT University. The week after I returned from Maruia Hot Springs I met Charles Davidson, who had just discovered natural thermal waters more than 600m below ground on the Morning Peninsula and was starting to build the Peninsula Hot Springs. Charles Davidson and I became good friends and over the next decade I went on to create post-graduate Wellness Programs, write seminal texts on natural medicine, herbs and supplements and the global spa Industry, conduct research into hot springs and health retreats, serve on the Board of the Global Wellness Summit, and chair the WORLD Retreat Initiative for the Global Wellness Institute, while Peninsula Hot Springs went on the win multiple industry awards including World’s Best Hot Spring. 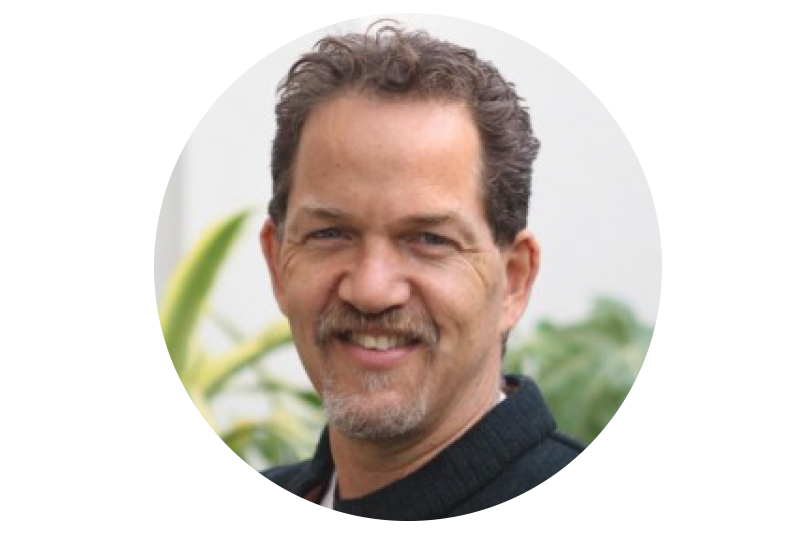 Charles Davidson and I also combined forces to co-found the Global Thermal Think Tank (G3T) a global leadership group for the hot springs industry, and the Bathe the World Foundation and World Bathing Day which aim to transforming the world and individual lives through bathing. Three years ago the universe further supported our plans when Charles and I, along with some other wellness leaders, had the opportunity to purchase Maruia Hot Springs and convert it from a quirky Japanese onsen into an award winning eco-retreat and wellness wonderland. I feel a unique bond with this land as if it has called me in, and now I will be using all my past learnings to create a unique and powerful retreat experience for a very select group of lucky guests. I’d already had multiple knee injuries and surgeries before my mid 20s when I was literally hit by a bus and thrown from my motorbike with a leg that was snapped in half. I remember lying on the roadside with my left toes touching my knee and then being told I could lose my foot, and would find it hard to walk properly again. After 9 months of plaster and rehab, I refused orthotics, and simply adapted to a slightly shorter left leg. 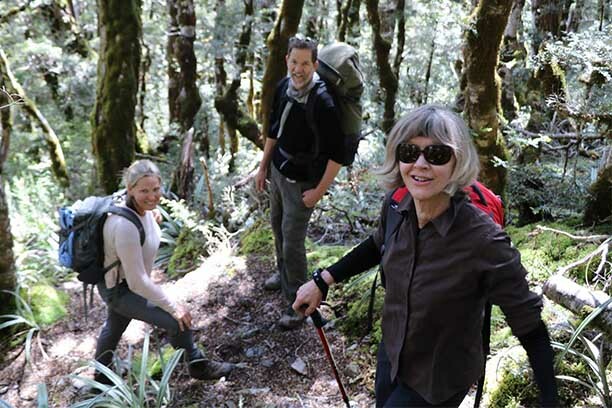 As a doctor and expert in natural remedies I tried every natural treatment including herbal and nutritional remedies, osteopathy, chiropractic, acupuncture and yoga— they all helped marginally, and I continued to live an active outdoor life—including hiking to Everest Base Camp. Yet, as the years went by I found myself in more and more pain and when I hit my 50’s it began profoundly affecting my life. I began to limp and reduced my exercise and put on weight, and once my sleep was affected I really struggled to keep up with the demands of a busy life. In 2016 I heard about the Wim Hof Method and began taking cold showers, then in early 2017 I met-up with Wim and began his breathing and ice bath practices in earnest. My musculoskeletal pain diminished, and my physical resilience and mental focus surged. I noticed some big changes. I no longer limped. I slept soundly, without physical pain. My appetite changed, and I became happy to eat one or two small meals a day. I no longer felt the effects of decades old injuries. As I worked with Wim on the science behind the Wim Hof Method, I found my 30 years of study culminated in a deep understanding of how consciously manipulating the basic elements of life – oxygen, carbon dioxide, water, temperature and glucose – could hack into our evolutionary potential and transform our physiology. Extreme Wellness was born—and I knew I had to share this with as many people as possible. 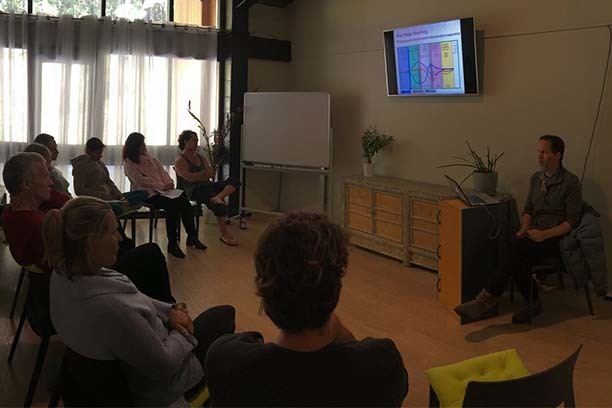 This is now happening through the Bathe the World Foundation and World Bathing Day and the Extreme Wellness Retreat at Maruia will allow a select few immerse themselves in a range of experiences that will transform their world. I went into medicine interested in fulfilment, fun, and wellness. I soon discovered that in Western medicine, I’d be learning about illness and I took 4 years off my medical degree to study physiology, psychology, and do a PhD in Chinese Medicine before finishing my medical degree. I did a further PhD in computer systems engineering and worked as a locum General Practitioner and in Emergency Departments. I saw that while Western medicine was good for acute conditions, it missed the mark with chronic disease. 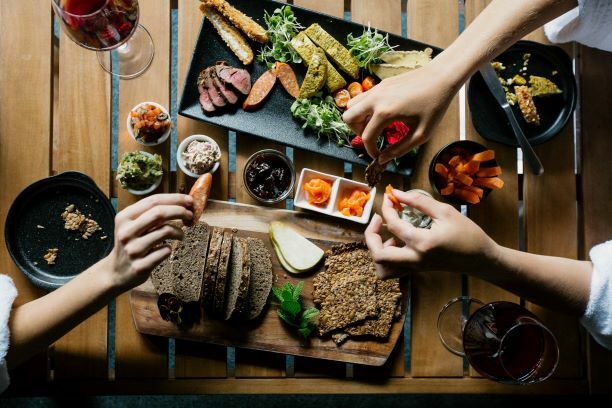 I then discovered health retreats that offered lifestyle solutions such as yoga, meditation and organic vegetarian food and in the early 1990s I learned about Dean Ornish and the mounting evidence that interventions that had you relax exercise, eat good food and share your feelings could reverse heart disease and unblock arteries. Then in the mid-1990s I discovered spas and as my natural medicine interest developed and I became the director of the Centre for Complementary Medicine in the Monash University Medical Faculty where I taught a wide range of courses that focused on the pursuit of wellness. These courses saw medical students clowning in the streets, white water rafting, rock climbing, hiking in the Victorian high plains with aboriginal elders, practicing acupuncture and visiting health retreats. In the early 2000s I was offered a job as a Professor at RMIT University where I was to be the ‘conventional doctor’ in a complementary medicine faculty. Over the past 16 years as a Professor of Health Sciences I have co-written seminal textbooks on herbs and natural supplements and the global spa industry, researched acupuncture, organic food, herbal medicine, yoga, meditation, the Buteyko breathing technique, pranayama and dysfunctional breathing, along with saunas, hot springs, elite athletic performance, detoxification and the Wim Hof Method. I always felt there were ‘natural cures’ beyond commercial solutions that could put people’s health back into their own hands. I now realise that by communicating with our cells in their own language – the language of water, glucose, oxygen, temperature and carbon dioxide – it is possible to hack into our physiology and access our evolutionary potential for wellbeing. I have now developed Extreme Wellness practices to help to counter the forces of entropy, clear your channels of elimination and explore the edge of your comfort zone, while also experiencing profound relaxation and extreme comfort. Medical Journal of Australia, Finding the Fun, Profile of Dr Marc. 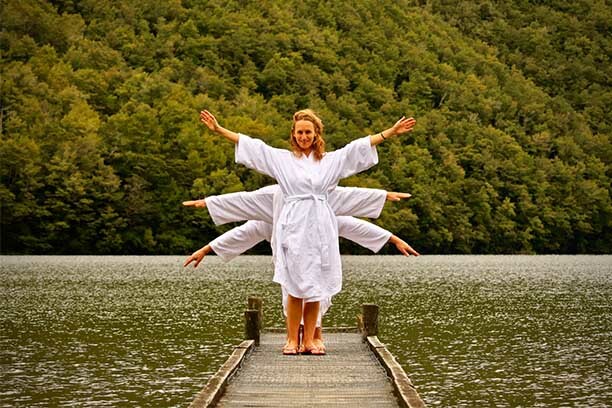 As a hydro-powered off-the-grid eco resort in the heart of New Zealand’s alpine national park with the purest mountain water for drinking and natural geothermal for bathing, Maruia Hot Springs is one of the most pristine retreat venues on Earth. 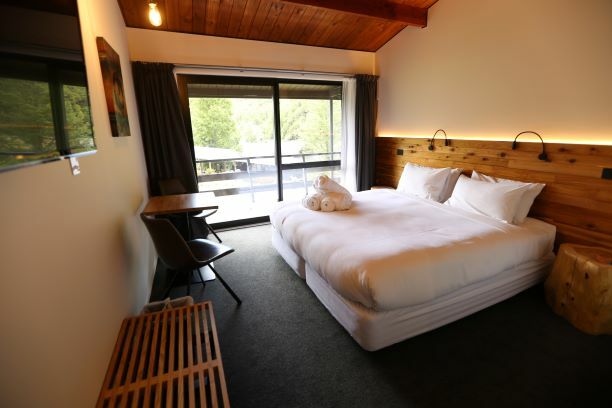 A stay at Maruia Springs will place you in intimate contact with nature and help you discover your own true nature.